We’re a bit behind on getting some of our local album reviews posted here on DCHM but we’re working to get back up to speed. This one is about an album released by Grethor back in January, but it’s still worth noting in case you missed it. Vivek wrote this detailed piece about it and as always you can stream a few songs at the end of this post to give it a listen. For as long as I can remember, I’ve enjoyed the hell out of Star Trek. When I found out there is a local blackened death metal band named Grethor, the klingon word for hell, it grabbed my interest. Albeit, its spelled differently than the actual name, Gre’thor. In late January, Grethor released their debut full-length album, Damnatio Memoriae. Grethor are composed of four members. Marcus Lawrence handles the vocals and wrote all of the lyrics. Brian Frost is on the guitar and Tony Petrocelly handles both guitar and bass duties as well. The lineup for this album is completed with Anthony Rouse on drums. 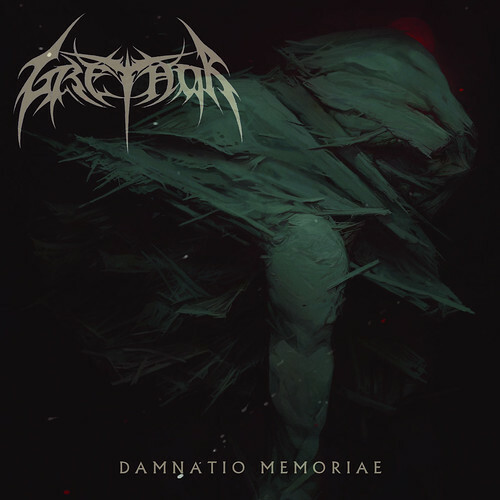 On Damnatio Memoriae, Grethor showcase a variety of complex and simple death metal riffs with varied drum patterns and a strong blend of black metal mixed in as well. Lyrically this album is also varied, there are social issues discussed as well as plain fantasy stories thrown in. Throughout the album the listener is treated to a variety of riffs that have strong influences from Obscura-era Gorguts and Altars of Madness-era Morbid Angel. Some examples of this include the tracks “The Last Manifesto,” “Enantiodromia,” and “From this Rot so Shall We Be Remade.” There is also an interesting black metal influence throughout the album. Think Deathspell Omega, very avant-garde and using weird elements. Some examples would be in several sections of songs, such as, “The Imminent Unknown” and “Requiem for a Strawman.” While this can go very wrong, Grethor keep all of these factors cohesive. They make sure none of these elements outweigh each other. One track where this is highlighted very well would be the third track, “The Last Manifesto.” In this track, it begins with a complex and blasting intro riff. 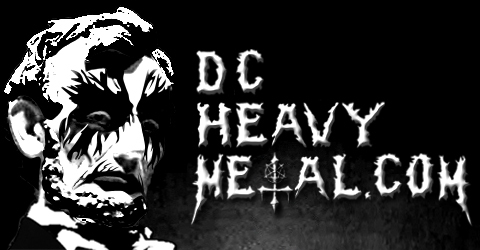 The song transitions into the main riff, which is a simple, mid-paced, and slightly melodic black metal riff. This is a nice contrast between the more death metal riffs that are present throughout most of the album. Rouse speeds the drums up by using a skank-beat and then everything else gets faster, before transitioning into a more death metal oriented riff. This is a nice transition into the first guitar solo. The solo in this song is simple and effective, it fits the purpose of this part of the song and does not try to do more. The solo isn’t too long or too complicated. The song has a quick breakdown, which transitions to the main riff again, but this time, the main riff is played even faster. The main riff develops more of a melody which, to my surprise, enhances the song and gives it a stronger punch for the listener. Eventually, another solo begins and this time it’s accompanied with complex blasting. This solo is complex and shows off that Luc Lemay influence. It’s a great solo too, it’s complex without being overbearing and is not too fast. The listener can absorb all of the notes from the solo and experience it as opposed to just hearing it. It’s a great way to close a great song. Lyrically, this song is also a rallying cry against many of the common injustices and hypocritical rhetoric that is relevant in society. Damnatio Memoriae is the most complex local release I have heard in a very long time. It is technical, avant-garde, simplistic, and has hints of melody at times. Despite all of these complications present, Grethor manage to juggle them in a proficient manner. Grethor manages to balance each of these elements giving them the right amount of attention. There is a strong blend of cohesion between the black metal and the death metal elements on this album. Grethor manage to combine these parts along with some direct and thoughtful lyrics, which makes for a very complete and fulfilled album. There are a lot of great moments on this album and I can see Damnatio Memoriae, opening many, many doors for Grethor. It’s a great debut album from a focused band.